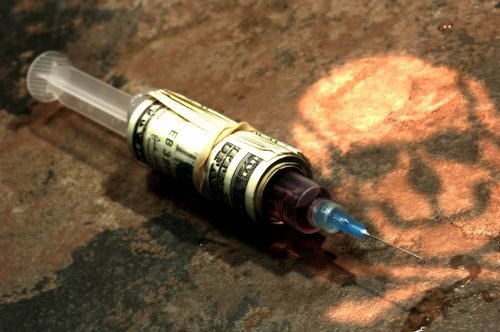 On September 27, 2012, the US Attorney’s Office in the Southern District of New York announced that 11 defendants were indicted for conspiracy to distribute heroin around the area of Poughkeepsie, New York. Another defendant was also charged for distributing the heroin. The U.S. Attorney’s Office announced the distribution ring operated in the following way. The “Fisher Organization” is believed to have distributed heroin around the Poughkeepsie area from January 2011 to September 2012. The leaders of the drug ring operated the drug dealing activity from a cell phone store on Main Street. The store was used to conceal heroin, sell heroin to trusted customers, and direct customers to other locations. Shabari Fisher and Shateek Parker were the leaders of the operation and provided heroin to other members like Garen Fisher, Shannon Walker, Tyrell Rudolph, Steven Williams, Rasheed Harrell, Carlos Reyes, Christian Parker, Vaugh McKinney, and Gary Sessoms. All of the defendants face a maximum sentence of life in prison except for Tony Jarrett. Jarrett faces a maximum penalty of 80 years in prison. Bharara praised the efforts of the FBI, Poughkeepsie Police Department, the Dutchess County Sheriff’s Office, the DEA, the Bureau of Immigration and Customs Enforcement, the U.S. Marshals Service Fugitive United, the New York State Police, the Orange County Sheriff’s Department, the Newburgh Police Department, the Middle Police Department, the Beacon Police Department, the Dutchess County Probation Office and County Jail, and the New York Department of Correctional Services. The investigation into this case is still ongoing.